Description: Digitization provided by the USF Libraries Digitization Center. Rare Maps. This is a detail map of St. Johns county circa 1834. 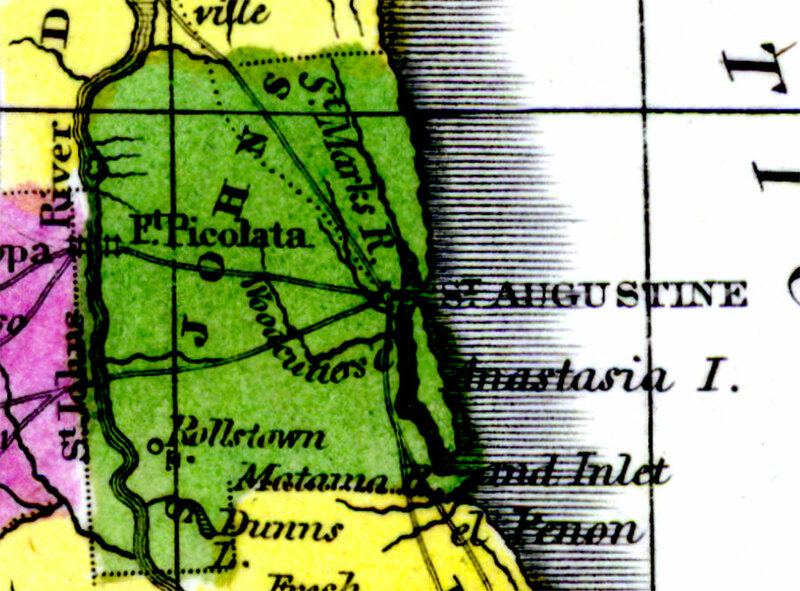 It shows main towns and cities including Ft. Picolata which was one of two Spanish forts built to protect them from Indians while crossing the St. Johns River. It also shows inland waters including the St. Marks and St. Johns Rivers. Map Credit: Courtesy of the Special Collections Department, University of South Florida.